One of AWN’s newest partners, EOS Eco-Energy, is a not-for-profit environmental organisation that is certainly a force to be reckoned with! Based out of Sackville, New Brunswick, EOS Eco-Energy focuses on finding community-based solutions for the reduction and adaptation to climate change within the Tantramar region. Since 2017, the 15 year-old organisation has been dedicated to protecting the watersheds in the Chignecto Isthmus region of New Brunswick. As there continues to be many unknowns related to the water health of the region, EOS has recently begun a long-term water monitoring program with the aim of collecting baseline water data throughout the Inner Bay of Fundy and Cape Tormentine Peninsula Watersheds. The organisation believes that consistent data collection will help better understand the region’s watersheds. They hope that gaining further knowledge could lead to future restoration and protection activities, ultimately ensuring the health, sustainability, and resiliency of their watersheds and ecosystems. On top of their new monitoring program, EOS’ summer season has been filled with planning fun, water-filled adventures that encourage public and local communities to learn about the importance of local watershed issues. Some of these adventures include multiple citizen science Water Sampling Blitzes, end of year school visits, summer camps, and having info booths at community events such as the Port Elgin Lupin Fair and the Silver Lake Fun Day. They have also been conducting a riparian health assessment of the Tantramar River, involving an at-times rigorous paddle down the river while observing the health of the banks of the river and its floodplain. Needless to say, EOS Eco-Energy has certainly been busy this summer season! 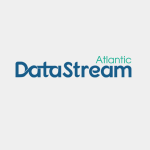 We look forward to seeing their data on Atlantic Datastream and how the information collected in 2018 will inform future projects and initiatives for the years to come! If you’d like to learn more about the great work that EOS has been doing, feel free to like their Facebook page @EOSEcoEnergyInc or give them a follow @EOSEcoEnergy on Instagram and Twitter.